A Seattle jury decided that Huawei misappropriated trade secrets about a T-Mobile smartphone-testing robot in a series of incidents that occurred in 2012 and 2013. A robot named “Tappy” has finally had its day in court, and emerged victorious. Well, its creator — T-Mobile — did. A long-running lawsuit that T-Mobile filed in 2014 against Chinese smartphone maker Huawei concluded in federal court in Seattle this week. A jury decided that Huawei misappropriated trade secrets belonging to T-Mobile in a series of incidents that occurred in 2012 and 2013. 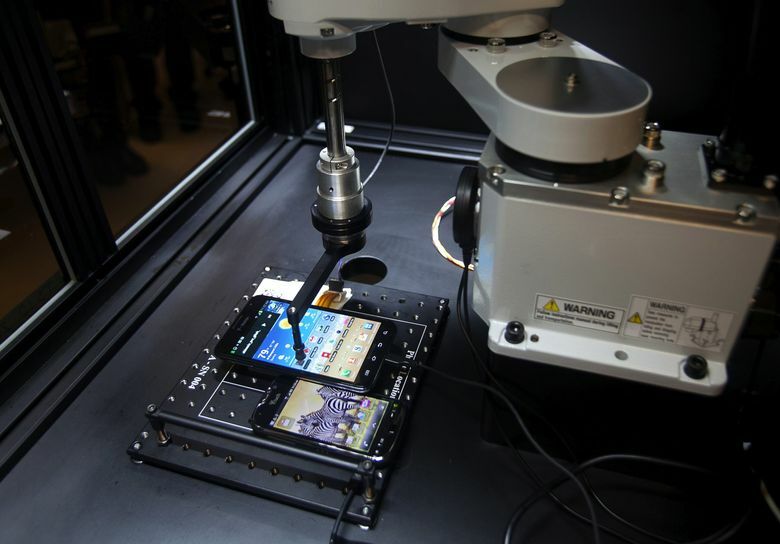 The lawsuit, filed by T-Mobile in 2014, claimed that two Huawei Device USA employees spied on a smartphone-testing robot T-Mobile had in its Bellevue lab. The robot, Tappy, was developed to test smartphone functions with fast-moving, humanlike fingers. Huawei was then a smartphone supplier to T-Mobile. On a visit to the lab, the employees photographed the robot and one slipped one of Tappy’s fingertips into his bag, T-Mobile claimed. When it filed the lawsuit, T-Mobile claimed that Huawei’s espionage cost it tens of millions of dollars as it severed its supplier relationship with the company and was forced to switch to smartphones from other suppliers. Huawei admitted in 2014 that two employees had acted inappropriately and said they had been fired. But the company disagreed with the larger trade secrets claims in the case — that the information was secret and had been used improperly to improve Huawei’s own robot and benefit the company — and said it was unfortunate the lawsuit had been filed. The Seattle jury on Wednesday determined that Huawei had misappropriated T-Mobile’s trade secrets, and that it breached a handset supply contract between the two companies. The contract included language that the companies would protect and not share trade secrets they learned throughout the partnership. The jury said T-Mobile should be awarded $4.8 million in damages because of this breach of contract. But the jury also decided that Huawei’s misappropriation was not “willful and malicious,” and it did not award any damages from the trade-secret claim. A Huawei spokesman said the company is evaluating its legal options. The jury also said in its verdict that Huawei did not breach a separate supply contract relating to T-Mobile’s discount division, MetroPCS. That contract also prohibited sharing trade secrets. T-Mobile did not respond to a request for comment.